Gran Torino is a move about Walt Kowalski, as played by Clint Eastwood, is a Christian movie. Now that doesn't mean that it has anything to do with God, or even Christ. I define a Christian movie as being a movie based on a Christian worldview. For more details about what I consider a Christian Movie, please consult Blood of Prokopius [http://bloodofprokopius.blogspot.com/2017/01/why-i-dont-like-most-modern-sci.html], as he's the one who created the definition. For another example of a Christian movie, look his example, Kung Fu Panda. And yes, it's serious. First, we have a Po. Po is a clumsy, nerdy, and chubby young man who has no idea what he wants to do with his life. But throughout the three movies we see him overcome his flaws, his preconceptions, and his circumstances to become the Dragon Warrior. And Po does not do this through his own ability, but by tapping into something greater than himself, and thus being transformed by it. This is the Divine, and it allows Po to become more than who he who. In a world without the Divine, Po is trapped by who and what he is, and nothing can overcome that. But instead, Po can become someone else by realizing that even he has a role to play, and a purpose greater than himself to serve. So a Christian movie is a movie where the Divine exists, and where the characters need it to overcome themselves and the world. And so Gran Torino is a Christian movie. Walt Kolwalski begins the movie as a bitter old man attending his wife's funeral. His own family do not seem to respect the occasion or him, and he's alone. But circumstances conspire to place him in the company of his next door neighbors, a group of Hmong immigrants from Vietnam. When the neighbor's eldest son is pressured to join a gang, he is asked to steal Walt's 1969 Gran Torino. But in the attempted robbery, he mucks it up, and Walt is waiting for him in the garage with a gun. The boy, who is named Thao, predictably flees, managing to escape in the process. Later the gang returns to educate Thao on why failure is not tolerated in their organization, only for Walt to show up again and run them off. This causes the neighbors to shower Walt with kindness, as well as a request. They ask him to take care of Thao, to mentor the boy and help him become a man, as he has no father. Walt agrees, as he is sympathetic of Thao's plight. And through his relationship with Thao and the neighbors, Walt comes to love them dearly. Thus, when Thao's sister is attacked, Walt locks him in the basement and goes to get revenge, supposedly. And when he arrives at the gang's headquarters, he dares them to attack him. And when he reaches for his gun, they open fire on him and kill him. But Walt had no gun, he was only reaching for his lighter. Walt willingly embraces his own death, and sacrifices himself for his friends and neighbors. In doing so, he transcends his own selfishness and bitterness, and unites with the divine. Walt is transformed through the power of the divine, and thus overcomes his flaws to be transformed into something beyond his expectations or hopes. The End of the Book of Genesis, once the tale of Jacob is concluded, is broken into the stories of the conduct of his sons. But one of these stands above his brothers, as he himself said he would, Joseph, then 10th son of Israel. Joseph is probably my favorite of Israel's sons, with the exception of maybe Levi, but that is a story for another time. Joseph begins the story as a well-meaning, if spoiled young man. His father, Israel, loves and favors him more than his siblings, to no fault of his own. This is emphasized through his coat of many colors, which is a colorful garment that his father gives him. Such a garment is described as a robe, meaning it had long sleeves. And in those days, the only people who wore long sleeves were those who did not have to do manual labor. So this was no doubt quite insulting to his brothers. But things get worse. Joseph has strange dreams, and when he explains these to his brothers, they become even more resentful of him. According to Joseph's dreams, he will be exalted over them. This thought germinates in their heads, leading them to plot against him. At first, they are going to kill him, but they decide that would be too much, even for a little punk like Joseph. So they sell him to some passing Midianites, and tear his goat, before staining it in lamb's blood. Now while his brothers are faking his death, Joseph is carted off to Egypt to be sold. He ends up in the employ of Potiphar, a servant of Pharaoh. Now Joseph could have complained or whined, and he might be entitled to a little griping given his situation. But instead he does his best work and maintains good standing before God, and God blesses his master's house for his sake. This earns him great favor with Potiphar, who entrusts him with everything he owns. Later, Joseph will be stripped of even his meagre authority and thrown in prison for years, but he will still maintain his good character and excellent work ethic, and for this, God will raise him up to rule over all of Egypt. And while I do not possess a fraction of Joseph's holiness or brilliance, I find him to be an excellent person to aspire to be like. 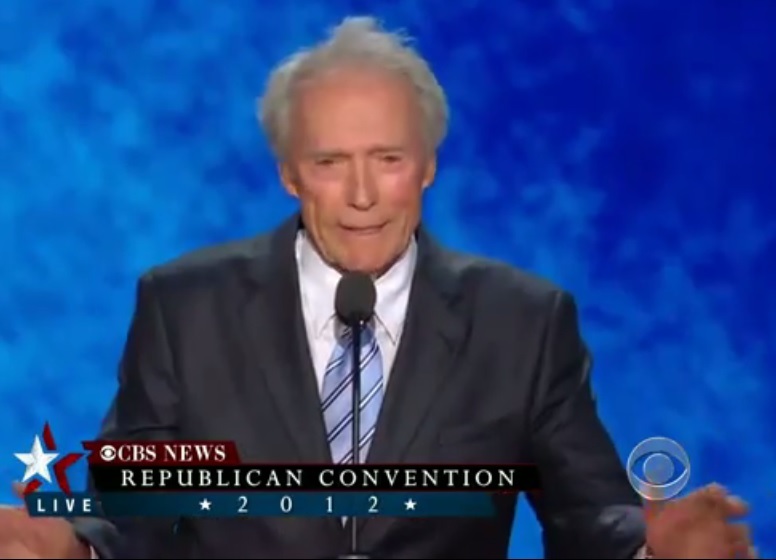 Clint Eastwood was asked to give a speech at the 2012 Republican Convention, an invitation he accepted. This was at the last high-point before that particularly meagre campaign season trudged into a bland and predictable ending. Invention: Eastwood says that President Obama has not kept his promises, and that he is disconnected from the concerns of the people. He repeats the usual populist appeals that politicians serve the people, and that they do not own America; such power resides within the people. In a way, he says, we are America. While these arguments are not particularly inventive, they are familiar, and most partisan lay-Republicans do not consider them empty platitudes, but anoint with nostalgic fondness. Arrangement: Eastwood's speech is arranged in a conversational style as he interrogates "Obama", as symbolized by an empty chair. He leans in to certain topics, while others he barely touches on. 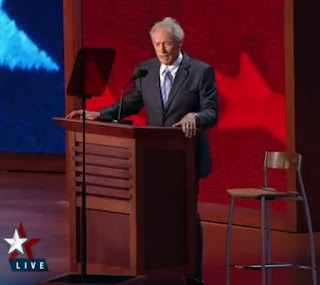 "Obama" even occasionally interrupts him, allowing Eastwood to offer some witty asides to the audience. The arrangement is adequate, but could use some refinement. Style: Eastwood's style is frank, genuine, and wise. He appears not like a square jawed cowboy with bombardier blue eyes, but a wise elder, speaking frankly to a younger man. He does not make any pretension to being special, and this humility he exhibits earns him raucous applause and cheering. He is imminently cool, even aged as he is. Memory: Nothing Eastwood particularly said was very memorable, as his speech was largely retreading old ground. He did everything expected of him, if nothing else. However, while the specific topic of the speech will likely fade from memory, the actual speech never did. You see, I first witnessed this speech on live TV back in 2012, and I distinctly recall it, even before I watched it for a second time. And I can tell you, in my case, time did not dull my memory of it. Delivery: Eastwood does stumble a few times, and repeats himself maybe twice in the whole speech, but such errors do not detract from the meaning of the speech. The speech is structured like a casual conversation, and Eastwood leans heavily into this, granting him a bit of leeway. But he doesn't ruin it with obtuse formality, either. His delivery is very good. However, despite the performance of Eastwood and other speakers, Romney lost. So, in some ways, the speech was not as successful as it could have been. But a single speech is usually not enough to win an election, and the ultimate fault of that loss does not rest on Eastwood's shoulders, anyway. But in more realistic terms, the speech had a significant positive impact on the Republican National Convention, so it could clearly be called a success because of that. And it made me vote Republican, so I guess that should count for something. I plan on posting a write up of my OSR Wizard class later, and some of the sub-types right after. But I want to quickly establish some of the base rules of Wizardry in my settings. Spellcasting Dice, Spell Slots, Spells, and the Wizard himself. 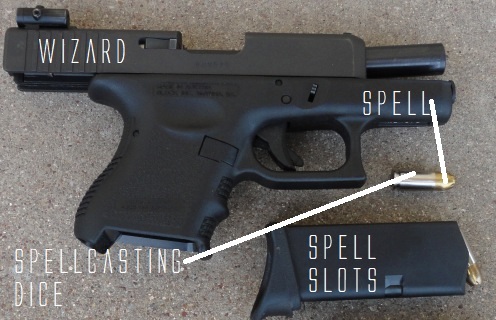 Spells are the weapons the Wizard uses. Spell slots are where a Wizard puts a Spell after he prepares it. 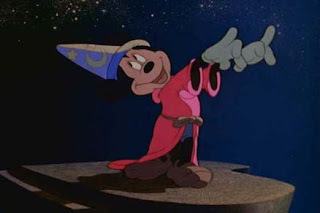 Preparing a spell takes 1 Hour of concentration, but I usually just handwave this by asking the Wizard in the morning, "So, what spells do you prepare after breakfast?" Spellcasting Dice are dice that the Wizard gets depending on their magic items or levels. These are d6s that are used to power spells. If the Wizard rolls a 5 or 6, the dice is expended, and won't return until after an eight hour rest. All spells require spellcasting dice to cast. But they do not have spell levels. Instead, certain spells will give you more impressive results if cast at a higher level. To cast something at a higher level, ou must reach a higher Threshold. these Thresholds are a certain number, and if they aren't reached, the spell fails automatically. Additionally, rolling a total of 1 on a Spellcasting Die means the spell automatically fizzles. When you roll more than one Spellcasting Dice, you risk Chaos and Corruption. Chaos is invoked when you roll two of the same number: doubles. Corruption is invoked when you roll three of the same number: triples. When a spell invokes Chaos, it causes an additional effect, but the spell still succeeds. When Corruption is invoked, it automatically fails. Finally, When Chaos occurs, the Wizard gets 1d2 Doom Points. When Corruption occurs, they get 1d4 Doom Points. I'll discuss Dooms more later. Now, as with all spells based off the GLOG, they can look a little minimalist, but once I explain the terminology, you should be able to understand them like a pro. There are only two real terms you need to know. First, [dice] means "Insert the number of dice used to cast the spell here", and [sum] means "Insert the total sum of all spellcasting dice rolled here". And just for inclusivity, here's the format all the spells are written in. And here's how a finished spell looks. [dice] creatures immediately have their bodily fluids become highly venomous. This applies to everything, blood, spit, etc. Any who are not venomous who come in contact with this poison take [sum] damage, save for half. (Note: The Following is a monster from Eldritch Americana, a setting conjured from the brilliant mind of Arnold K. If you like the monster but the setting does not suit your fancy, ignore it and come up with the fluff on your own. More information on Eldritch Americana can be found here. Since Heaven is no longer open, having been taken over by the God-Butcher, and Hell is still unappealing even after their rebranding, most souls linger on the Material Plane, degenerating into monstrous beasts or being devoured by Astral Predators. But if a body is relatively undamaged, a Ghost can slip back inside it and wear it like a robe. These creatures are what our ancient ancestors knew as the Undead. And while many Undead start out as benign, as their bodies rot, they find themselves trapped in a cage of rotting meat, their faculties degrading along with their sanity. This is why most, if not all Undead, are insane. And thus, this explains the Sodden. The Sodden are created when people are drowned or improperly buried at sea. 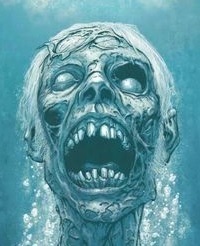 And while many of the Undead are stuck in the coffins, screaming into the void forever, the Sodden have no such obstacle; being stranded at the bottom of the sea, or trapped in the flooded cabin of a wrecked ship. Sodden Men are men and women, soaked to the skin, still wearing the clothes they drowned in. They are blue with hypothermia, and constantly drip water. They can easily move underwater, and breathe water, though they will deny this latter fact. They are those poor souls that are in denial about being dead. They still cling to their lives before hand, and will insist that they are still alive. To say otherwise will usually provoke anger, though the Sodden are not easily moved, especially by anger. But if you play along with their delusions, you will find them to be depressing, if earnest. Sodden Men will usually tentatively approach the party. They fear fire and shy away from light. They will accept the trappings of civilization, and play act like they are still members of that society. Two things can happen when a Sodden is revealed to be dead (to themselves). They either accept the reality of the situation, or die. This can only occur when presented with irrefutable evidence. Anything else can be reasoned away. The Sodden are great at mental gymnastics. The Drowned are the older cousins of the Sodden Men. When a Sodden Man accepts the reality of the situation, they either die (as they are dead), or they cling to life anyway. These latter folk make up the Drowned. The Drowned are visibly dead, and completely aware of their circumstances. While the Sodden merely look like waterlogged people in dripping wet clothes, the Drowned are usually clad in rags and visibly bloated, decaying corpses. If they see you, they will attack, seizing you in their iron grip and dragging you down into the water to your watery grave. Additionally, if their is no water nearby or if you are too far away, the Drowned will bring it to you. The Drowned have the ability to touch someone and fill their lungs with sea water. This is water teleported from the Nightmare Oceans of the Moon, and is unique in its ability to preserve corpses and absorb magic. Those being drowned by The Drowned, either in water or because of their powers, will start to rapidly age. The Drowned responsible, on the other hand, will have their body rapidly restored. Many times in an area infested with The Drowned or Sodden Men you will find one Drowned who looks like a normal, if soggy person. These Drowned are known for being well mannered, well spoken, and friendly. Social Drowned are greatly entertained by depressing yarns, dark humor, and polite guests. The Drowned tend to look with aloof pity at the Sodden Men, who they regard as deluded. And they aren't wrong. Drowning Hand: When the Drowned touches an enemy, that enemy must immediately make a Fort save. On a failure, that enemies' lungs are filled with water. The enemy takes 1d6 Inevitable* Damage for every round its lungs are filled with water. Performing CPR on them grants them a new save. Killing the Drowned Responsible for putting them in state will also cause them to cough up the water. The Damage done by this ability is undone if the drowning person can flush their lungs of water. *Inevitable Damage means damage that directly bypasses FS. If you don't divide HP like I do, just use the normal rules for drowning. 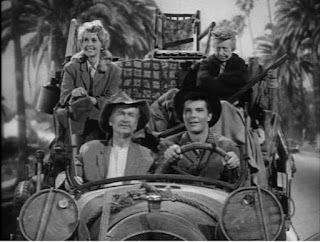 The Beverly Hillbillies is a shoe about a poor farmer named Jed Clampett who finds oil in the swamp behind his house, and after striking a deal with an oil corporation, he becomes a millionaire overnight. Then taking the advice of his neighbors, he moves to Beverly Hills and takes his family with him. Hijinks ensue. Now the Beverly Hillbillies is basically a sitcom, it is a genuinely funny and clever one. There are plenty of jokes about how the Clampetts are poor, rural folk, but none of the jokes are at their expense. The Clampetts are merely normal rural folk in way over their heads, struggling to deal with the problems of their new situation. But additionally, most of the jokes come from the Clampetts being too practical, polite or pragmatic, not from their ignorance. For instance, in this episode, Jed asks his cousin Pearl if he should move. In response Pearl says "Your roof leaks, your fields can barely produce a weed, your house is constantly menaced by possums, skunks and coyotes and your bathroom is fifty feet from your house." And Jed says "You're right. I'd be a darn fool to leave all this." Now, while these jokes are quite funny, they also contain a germ of a subversive idea. This is a TV show from the sixties, and it almost seems like a mild critique of nifty 50s' era positivity. The most common image from that decade is the white picket fence, father knows best, 2.5 kids and a dog vision of suburban America. But that was never an actual reality. Even in the 50s, poverty was rampant in rural areas, and there were already large ghettos in many of America's major cities. And so if you think of it like that, the pragmatism of the Clampetts is not only a method of making funny jokes, but also a way of poking holes in the mythos of the 50s. Of course, that may be reading too much into it. Every so often, I see an occasional GM bring up the problem of hit points. Or rather, make a problem out of hit points. Hit Points work perfectly well for what they are meant to simulate. People think about them too much, and this causes most of the problems. However, there is one real problem. A lack of tactical consideration. For example, since your abilities are exactly the same at 1 HP and 999 HP, players consider every battle a race to the bottom. If you can kill the other guy first, you win, no matter what. This sort of thinking is perfectly fine if you don't care about the players accidentally mincing themselves when they all attack the Orc chieftain even though they have 2 HP apiece. But some cases are less clear-cut. For example, how are players supposed to know when to retreat? Luckily, the fabulous Logan Knight from Last Gasp Grimoire already solved this problem years ago. Simply divide HP into two categories. He used Grit and Flesh, but I use HP and FS, with FS standing for Fighting Spirit. The system works as follows. FS represents the magical part of HP, the part where the arrow hits you but doesn't punch a hole clean through you. HP represents the physical integrity of your body. When you take HP damage, you actually get injured. There are a few minor rules to go with this. Firstly, FS always depletes before HP, and if you have 1 FS, the leftover damage doesn't carry over into HP. Secondly, some kinds of damage bypass FS, such as falling. These types are tagged as 'Inevitable'. And finally, if you have no FS, you attack at -4 and enemies get +4 to save against your spells, but anything that helps your defense is okay. Also, one more thing. FS/HP is usually used to represent a near miss if an attack doesn't reduce you to zero. So why don't GMs describe it as a near miss? Couldn't you just roll for damage and then describe the Ogre's club swinging down and just barely missing the Rogue. I'm going to start doing that, and I'll see what the players think. But since I'm linking this post to other places now, I think I will further explain how HP progression works in my game. Simply put, I stole everything from here. I then combined the system Arnold outlined with my own musings on FS. Simply put, once you have your Max HP at level 3, you won't gain anymore. But you will continue to gain FS until level nine, which is the soft level cap for my games.